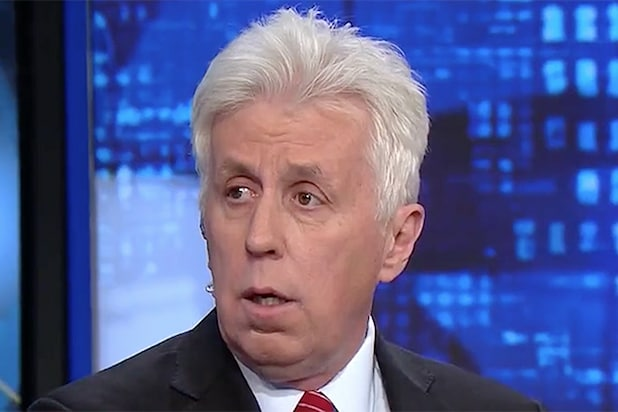 In his first column in his new gig at Breitbart News, Jeffrey Lord compared Hillary Clinton to former KKK Grand Wizard David Duke. Lord referenced an interview on CBS Sunday Morning in which Clinton said that Donald Trump appealed to millions of white working class Americans. Trump “was quite successful in referencing a nostalgia that would give hope, comfort, settle grievances, for millions of people who were upset about gains that were made by others,” Clinton said. “What you’re saying is millions of white people,” clarified CBS’ Jane Pauley. “Millions of white people, yeah,” Clinton said. The nostalgia that Clinton mentioned is right there in Trump’s campaign slogan: “Make America great again.” This bit of Trump’s campaign ideology looks back at the past — Jim Crow era and all — with rose colored glasses. “Clinton is a believer in ‘identity politics’ — the grandchild of slavery and the son of segregation, the latter two racist policies the political fuel for Clinton’s party from its birth, not to mention the later ‘progressive movement’ that was folded into the party by Woodrow Wilson,” wrote Lord. Lord continued his column by blaming Clinton for the actions of her husband, former President Bill Clinton, and called other presidents, like Franklin D. Roosevelt, racist. He said that when Bill Clinton dedicated a Roosevelt monument in 1997, she called FDR “the greatest President of this great American century.” That, according to Lord, makes her a racist, equivalent to klan member David Duke. Lord was fired from CNN in August after he tweeted “Sieg Heil” during an argument with Media Matters president Angelo Carusone. He later defended the tweet as “mocking Nazis and fascists” and refused to apologize.